MessageKit is a UI framework built in Swift to replace JSQMessagesViewController. It has quickly gained traction as a common trending repository on Github. I spearheaded the development of a robust and versatile InputAccessoryView that the library uses as its message input view. With ease you can create a reactive input bar similar to those found in Facebook Messenger, Slack, iMessage and many more. InputAccessoryView also makes it easy to add predictive autocomplete functionality. Parse Dashboard for iOS is a standalone dashboard for managing your Parse apps while you are on the go! Edit, create and delete data from your MongoDB. View and upload new image files. Based off of the original Parse Dashboard we all know and love. Loki presents a news feed to the user much like other popular social networking apps. However, in the background, it uses iOS' ARKit to gather the user's facial data. This data is piped through a neural network model we trained to map facial data to emotions. We use the currently-detected emotion to modify the type of content that gets loaded into the news feed. We were inspired to build Loki to illustrate the plausibility of social media platforms tracking user emotions to manipulate the content that gets shown to them. This site your currently viewing! 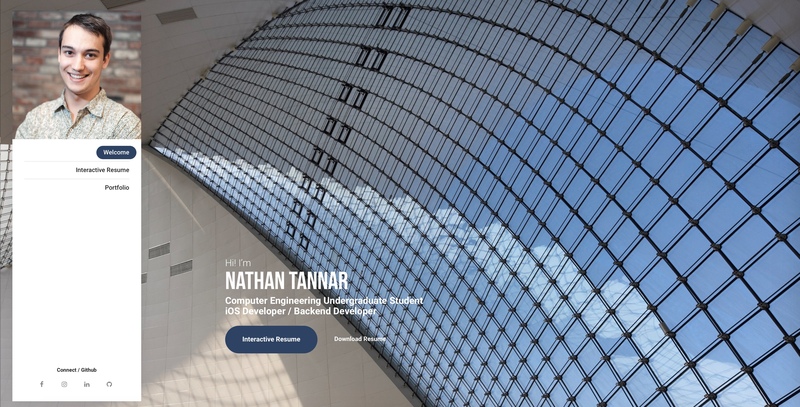 For my first project using the server side Swift framework, Vapor, I converted my old static HTML pages into a more dynamic site thats contents are rendered with data models. Alzheimer’s is a disease that effects not only the patient but everyone who is close to them. You may find yourself worried that your family members might one day forget where they live and wonder off. In fact, 6/10 people will wonder off and get lost! Or maybe you are worried that they are taking too many trips to the pharmacy buying over the counter drugs or the casino spending their money and not remembering how much they lost. While you may not always be able to be by their side, with Safety Beacon you can rest easy knowing you have a direct link to their current and previous whereabouts. For the better part of two years I have been learning Swift. During this time I used a lot of 3rd party dependencies to build out my apps. While they were useful for getting started, I wanted to dive deeper and create my own set of components that would have the essentials I would need to develop apps moving forward.